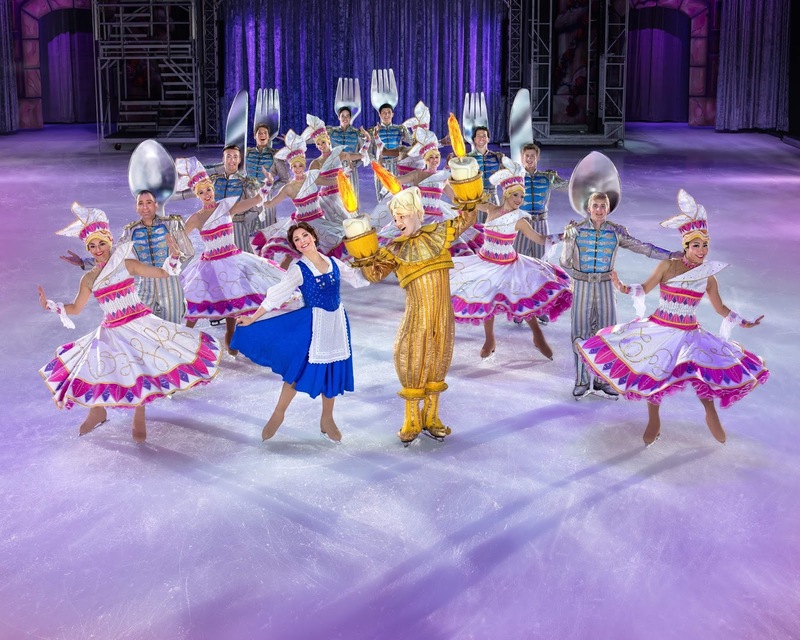 If you are a regular reader of the blog, you will already know of my love for Disney On Ice. 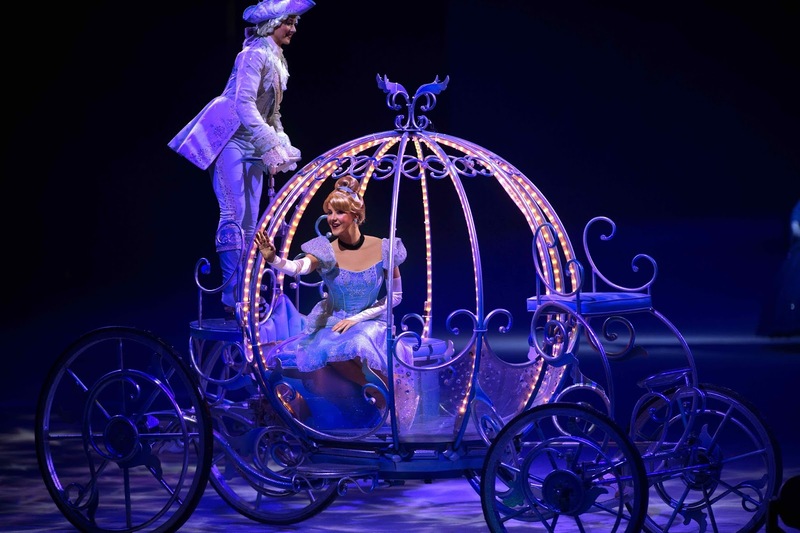 We have attended numerous productions over the years and I can honestly say that I will never tire of watching the amazing dancers bring the Disney characters to life. It is a personal highlight on the calendar for me and we were very excited to be invited along to the Manchester opening night to experience Disney On Ice presents Dream Big! From the moment we arrived, the Manchester Arena was full of smiles and excitement. There were children in costumes everywhere we turned, as princesses, heroes, flashing wands and twinkling lights filled the arena. Guests both young and old beamed with happiness waiting for the show to commence and as the lights began to dim, a wave of anticipation swept across the audience as the music began to play and the dancers took to the ice. After a brief introduction by Mickey, Minnie and friends who encouraged the audience to get up on their feet and dance, we were treated to the main event, which kept the crowd captivated from start to finish. Mickey and Minnie did of course make regular appearances throughout the show and helped to connect each of the stories to the next. First to take to the ice was Aladdin and we absolutely loved the fun and craziness involved with the opening market scene as Aladdin was trying to escape. This act went to another level though as Aladdin and Princess Jasmine performed a duet to a Whole New World which was absolutely amazing. Exhibiting the most beautiful and skillful skating as they glided across the ice, my family and I were mesmerised and my youngest son Riley, could not believe his eyes when Aladdin skated around the ice rink holding Jasmine in the air using only one hand. The strength, skill and practice which must have gone into this routine must have been incredible, to make it appear so flawless thoughout. We have been hugely impressed by the skills shown in previous productions, but this one certainly stood out for us right from the start. The Beauty and the Beast segment of the show was a real crowd pleaser, however I was left slightly disappointed mainly because the Beast didn't actually feature (well not in Beast form anyway). Whilst I really enjoyed the performance of Be Our Guest I felt that this could have been followed up with a Belle and Beast duet to the full song of Tale As Old As Time before concluding, which I am sure would have looked incredible upon the ice. My personal favourite from the whole night was Moana and demigod Maui whose costume alone was extremely impressive. The duo were making their Manchester debut and Riley was delighted as we watched the fantastic routine to How Far I'll Go, which combined incredible ice skating moves with a powerful choreography that was mesmerising to watch. It was a performance that I am sure will inspire and encourage others to Dream Big and it is certainly one that my family and I will be talking about for some time. The Little Mermaid has always been one of my favourite acts in previous Disney on Ice productions and so I was really happy to see that the Under the Sea routine had been included as part of Dream Big. The ice was full of bright colours and everyone clapped and danced along to the music as The Little Mermaid, Sebastian, Flounder and friends took us on a journey beneath the waves. Other performances included Tangled, Cinderella and Sleeping Beauty, with the latter featuring a spectacular fire breathing dragon. 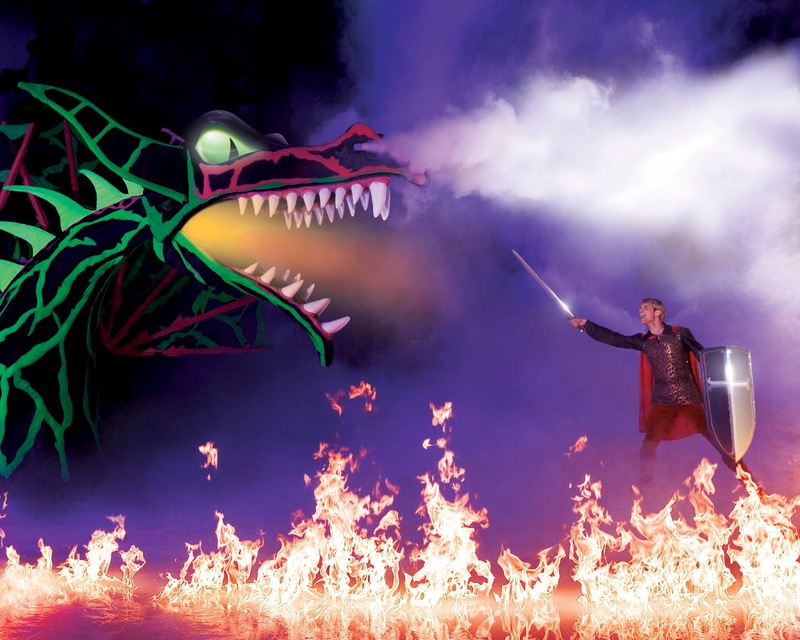 The clever use of pyrotechnics creates small flames across the ice as the Prince battled with the dragon. My children were fascinated by this and kept asking me why the fire didn't melt the ice. To be honest I am not sure myself! The final act was one that we have come to know and love from our last few visits to Disney on Ice and it never disappoints. It was the moment my youngest son Riley had been waiting all evening, as sisters Elsa and Anna took us on an icy adventure to the town of Arendelle, in a shortened version of the BAFTA and Academy Award® winning animated film Frozen. 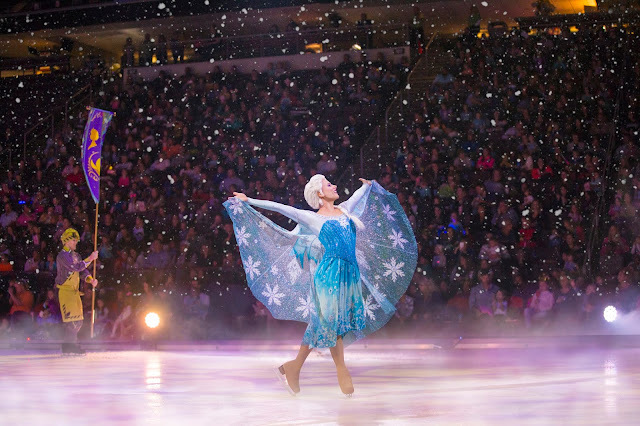 Audiences sang along as stunning performances to Love Is An Open Door, For The First Time In Forever and Let It Go took place within the ice rink. Although there wasn't a large amount of scenery to support these performances, the music and skating was more than enough to keep us entertained in a routine packed with high flying spins and dance moves galore. Snow fell from the rooftop which added to the magic and created a beautiful wintry sight. I had read a couple of reviews prior to attending the show, that stated that Disney on Ice presents Dream Big was more suited for girls, due to the amount of princesses that feature throughout, however I would definitely have to disagree. As well as the stunning princesses, there are also many heroes, stunts, and even a fire breathing dragon, to ensure that there is plenty to keep everyone entertained regardless of gender or age. My youngest son's favourite acts were from the Moana and Frozen characters and his highlight was singing Let It Go with his dad as Elsa took to the ice. Overall we found Disney On Ice presents Dream Big to be absolutely incredible. This show has pulled out all the stops in creating something so magical and entertaining, which was an absolute pleasure to enjoy with my family in Manchester last night. Everything flowed so well and none of the segmented stories felt too long. I loved that Dream Big featured a wide range of characters so that audiences could be treated to a whole host of Disney stories on the ice, ranging from the classics such as Cinderella, to the modern day wonders such as Frozen and Moana. Last night's production literally blew me away and Feld Entertainment certainly did Dream Big when putting this magnificent show together. 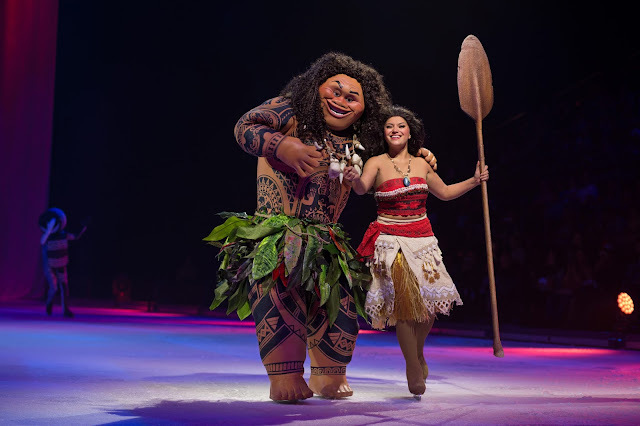 Disclaimer: We were invited to Disney on Ice presents Dream Big, for the purpose of writing an honest review of the show. Thoughts and opinions are my own unless otherwise stated. Images provided by Disney on Ice. This post does not contain affiliate links.